Properties in Fannin County average 4.7 out of 5 stars. Dog-friendly cabin with a private hot tub, fenced yard, and a peaceful location! Property 7: Dog-friendly cabin with a private hot tub, fenced yard, and a peaceful location! Property 10: Waterfront getaway on Hemptown Creek. Property 11: Downtown:KING size bed! Huge hot tub. Close to town Elec.car charger! $150/Night Specials in Luxury Cabin that sleeps 20 and has breathtaking views! Property 17: $150/Night Specials in Luxury Cabin that sleeps 20 and has breathtaking views! Toccoa River Valley Retreat, Private Dock, Great Fishing, Relaxing Setting! Property 21: Toccoa River Valley Retreat, Private Dock, Great Fishing, Relaxing Setting! Last Minute Cancellation - May & June dates available! Property 28: Last Minute Cancellation - May & June dates available! Property 30: Blue Ridge Mountain Haven- Awesome Views- Secluded Yet Only Minutes to Downtown! Romantic Riverfront & Fishing! Only 5 minutes from downtown Blue Ridge! Property 31: Romantic Riverfront & Fishing! Only 5 minutes from downtown Blue Ridge! Cabin in the woods w/ private hot tub, views, paved road access - 2 dogs ok! Property 32: Cabin in the woods w/ private hot tub, views, paved road access - 2 dogs ok! Lake View at it's Finest! 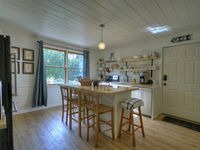 3 bedroom, 2 bath cabin, Hot Tub, Wifi. Property 33: Lake View at it's Finest! 3 bedroom, 2 bath cabin, Hot Tub, Wifi. Property 35: Two King Suites! Morning Glory! Endless View! Close to Town. All paved roads. Cozy cabin near the river features private hot tub, free WiFi, & great location! Property 36: Cozy cabin near the river features private hot tub, free WiFi, & great location! Property 38: Dog-friendly cabin with private hot tub, fenced yard, and gorgeous location! Property 39: Riverfront cabin w/ private hot tub, screened porch, and grill! Toccoa Fish Trap- A fisherman`s dream cabin! Property 43: Toccoa Fish Trap- A fisherman`s dream cabin! Hilltop Hideaway, Escape it All, WIFI, Dog Friendly, Outdoor Firepit, Gameroom. Property 45: Hilltop Hideaway, Escape it All, WIFI, Dog Friendly, Outdoor Firepit, Gameroom. Little Creek Cabin-Relax & Enjoy a mountain escape! 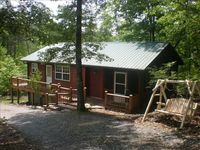 Property 47: Little Creek Cabin-Relax & Enjoy a mountain escape! There aren&rsquo;t enough words to say how great this place is!! Peaceful, lovely, scenic, homey, cozy, comfy are just a few! Can&rsquo;t wait to come back!!! Lovely, quaint farmhouse style but gracefully appointed with ALL the modern conveniences you need. We had a great time and enjoyed the area. Favorite restaurants: Flying Trout and Chester Brunemeyers.